Hey, everyone! Today I am excited to share with you my part in the blog blitz for Paul Southern's latest release, Pendle Fire! This is a dark, thrilling book that will definitely keep you on the edge of your seat. Below you'll find some information about the blog blittz, the book itself, and my own review. Paul Southern was born in the 1960s to itinerant parents who moved from city to city. He lived in Liverpool, Belfast, London and Leeds, then escaped to university, where he nearly died of a brain haemorrhage. After an unexpected recovery, he co-formed an underground indie group (Sexus). Made immediate plans to become rich and famous, but ended up in Manchester. Shared a house with mice, cockroaches, and slugs; shared the street with criminals. Five years later, hit the big time with a Warners record deal. Concerts at Shepherd’s Bush Empire, Melody Maker front cover, Smash Hits Single of the Week, Radio 1 and EastEnders. Mixed with the really rich and famous. Then mixed with lawyers. Ended up back in Manchester, broke. He got a PhD in English (he is the world's leading authority on Tennyson's stage plays! ), then wrote his first novel, The Craze, based on his experiences of the Muslim community. He has three other published books and has written for ITV. 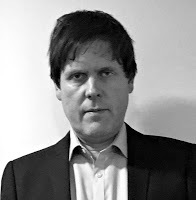 He was shortlisted for a CWA Dagger award in 2002 and received positive reviews from national and international press, including The Guardian, Arena, Radio 4, Ladsmag, and Kirkus, amongst many others. Pendle Fire starts off dark and only gets more chilling as the story goes on. 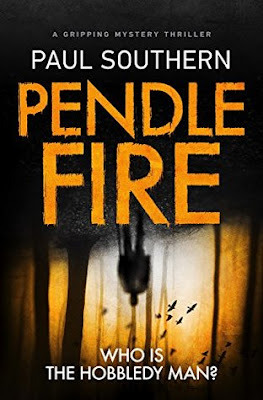 This is the second book that I've read by Paul Southern, and it has already become apparent that he has a talent for crafting dark, thrilling stories with complex characters, and that he is unafraid to tackle difficult subjects. I'm keeping this review brief because I don't want to give away any part of this book, as this is definitely one of those thrillers that you should experience knowing as little as possible about what is going to happen. Johnny Malkin is a great protagonist to follow, largely due to his strong work ethic and desire to connect more with the children he comes across while working as a social worker. Of course, his overworking does have negative effects on his personal life, but it's hard to fault someone with that much passion. Malkin is one of those characters that you can't help but feel connected to and become invested in his life. Southern is a whiz at creating characters that are authentic and actually come across as real people, both good and bad. There are so many grey areas involved in people's actions, and Southern always seems to incorporate those ideas into his work extremely well. Before I picked up this book, I was also slightly skeptical about the supernatural addition to this story, but it was also what intrigued me so much about this book. I ended up really loving how this element successfully mixed myth with modern day life and created a unique but fascinating storyline. One of my favorite aspects of this book was the bigger issues that framed the story, such as doing what is right versus doing what is easy, open-mindedness versus close-mindedness, and so many more incredibly relevant topics that I think we can all benefit from discussing more. Southern does a fantastic job of taking risks with his writing, and I love that; nothing seems to be off-limits, and he handles his subjects extremely well. I zoomed right through this book due to how suspenseful and well-written it was, and I found myself having a hard time putting this book down--I just wanted to keep reading and find out what would happen next. Before I wrap up, I also just want to add this isn't a book for the fainthearted, so if difficult subjects aren't for you, this might not be for you. However, I still recommend anyone who wants a great, page-turning book pick this one up and give it a shot. 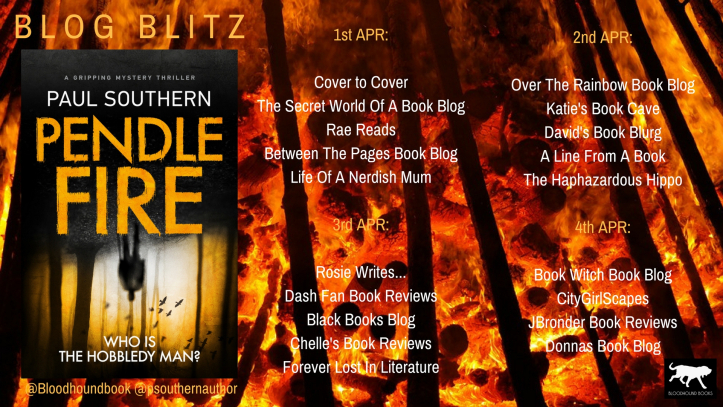 Overall, I've given Pendle Fire four stars! If you're looking for a dark, shocking thriller with a bit of a supernatural edge then look no further and pick up a copy of Pendle Fire.